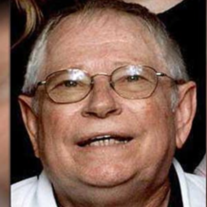 ST. PETERSBERG, Fla. Funeral for Ronald Dean Slagle, 78, of St. Petersberg, Fla., will be at 2 p.m. Monday, Jan. 25, 2016, at Lawton Ritter Gray Funeral Home Chapel with Leland Duncan officiating. Mr. Slagle passed away Tuesday, Jan. 19, 2016, in Pinellas Park, Fla.
Burial will be at Sunset Memorial Gardens. Ronald Dean was born Feb. 12, 1937, in Lawton, to Lester and Hallie Scott Slagle. He grew up in Lawton. Ronald Dean graduated from Central High School in 1955. He worked for Coco-Cola Bottling Company, Fox Radiator Shop, and later for civil service as a radiator man. Ronald married Norma Sue Winn in Marlow in May 1957. He later married Lana Ann Sharte on Nov. 30, 1986. He was a loving father, grandfather and great-grandfather. He is survived by his wife, Lana Slagle, of the home; four daughters and spouses: Deanne and Danny Davis, of Oklahoma; Patti Rodgers, of Oklahoma; Teresa Wright and Michael Graves, of Florida; and Connie and Butch Williams, of Georgia; his son, Barry Slagle, of Oklahoma; his sister and brother-in-law, Sharon and Al Meyer, of Wisconsin; his brother-in-law, Ronald Henderson, of Oklahoma; 13 grandchildren and spouses: Kristi and Brad Gerstein and Jody and Jen Rodgers, all of Texas; Sarah Wright, Becca Wright, Cheyenne Slagle, Haley Slagle, Joey and Christina Garcia, Tony and Allie Bertram, Stephanie and Pat Burrow, and Michael Bertram and fiance, Taylor Ryans, all of Oklahoma; Debra Bradley, Ricky and Chrissy Bradley, and Natalie Williams, all of Georgia; nine great-grandchildren: Olivia Gerstein and Aislyn Rodgers, both of Texas; Katlyn Garcia, Myles Garcia, Landon Burrow, and Austin Burrow, all of Oklahoma; and Nadia English, Aiden Bradley, and Ava Bradley, all of Georgia; and numerous nieces, nephews, and other family members. He was preceded in death by parents; his brother, Terry Slagle; his sister, Nora Henderson; and his son-in-law, Charles Rodgers. Special viewing and visitation for family and friends will be from 6-8 p.m Sunday, Jan. 24, 2016, at the funeral home.